Step 1. Measure and cut an 18" piece of wire. Step 2. File any sharp edges down using a nail file. Step 3. Use your round needlenose pliers to grab the end of the wire, about halfway down the pliers as shown above. Step 4. Use your hands to bring the wire around, creating a secure loop. Really make sure to get it snug! Repeat on the other end. Step 5. Use your hands to open the wire and form it into a rough circle leaving about 2" of space between the end loops you made in Step 4. Make the diameter of your circle about 6". Step 6. Cut a piece of chain measuring about 25". If you'd like your chain to be a different length than mine, feel free to cut yours as long or as short as you'd like. Step 7. If the chain links in your necklace chain are too small to accommodate a standard jump ring (as mine was! ), you can easily make your own jump rings out of a thinner wire. Simply find a wire thin enough to fit through your chain and wrap it around the tip of your round needlenose pliers about a quarter of the way down as shown. Wrap the wire around as many times as you want jump rings. Step 8. Use your wire cutters to cut the jump rings off, cutting perpendicular to the end of the wire, as shown. Step 9. Open your jump rings and attach one to the end of your chain and to one loop you made in Step 4. Repeat on the other side. I couldn't be more in love with this necklace and can't wait to wear it all summer long! Change up the look by using silver toned metals, or use thicker chain, whatever strikes your fancy! 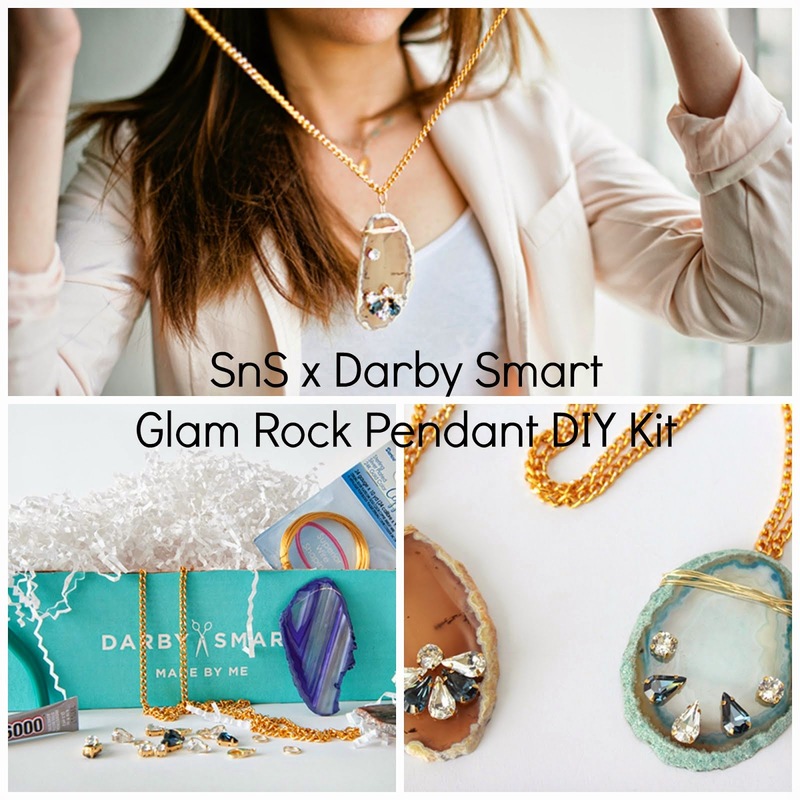 I love seeing what you're making, so show me and hashtag your DIYs #snsDIY on Instagram!